It is not easy for a lot of people to type on the small keyboard on an iPhone. This problem often isn’t fixed by using a bigger phone, like the iPhone 7 Plus. It can also be difficult to proofread the information that you have typed with that keyboard, and you may be worried that you will make a spelling error that could be problematic. 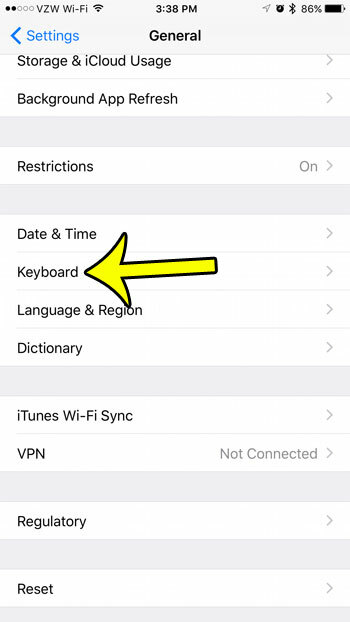 Fortunately your iPhone has a built-in spell checker for its keyboard, you simply need to enable it for it to start working. 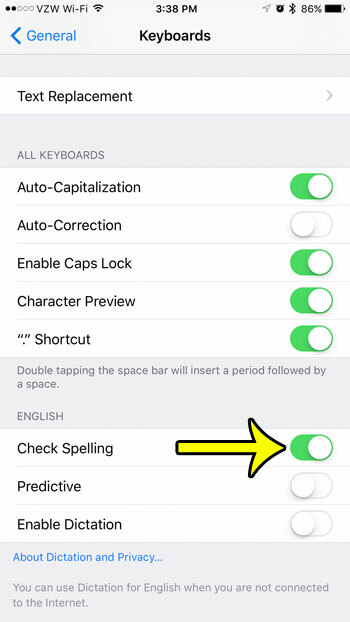 Our guide below will show you where to find the spell checker setting on your iPhone 7 so that you can turn it on and begin benefiting from its assistance. The steps below were performed on an iPhone 7 Plus, in iOS 10. 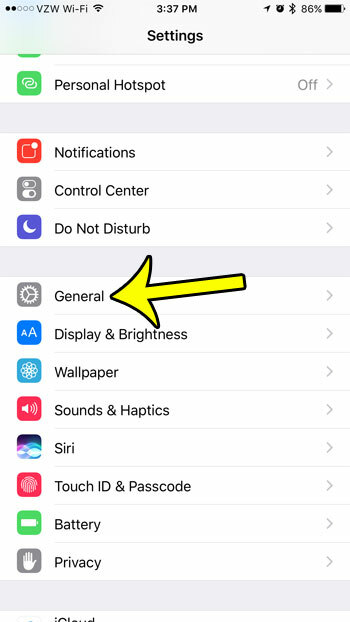 You can also enable this option in earlier versions of iOS, although the method is slightly different, as the Check Spelling option was located on a different part of the menu in the last step. Step 4: Scroll down and tap the button to the right of Check Spelling. You have turned on the spell checker when there is green shading around the button. Spell check is enabled in the picture below. Do you need to check the time that a text message was sent, but you don’t see a time stamp for the text message that you need to check? 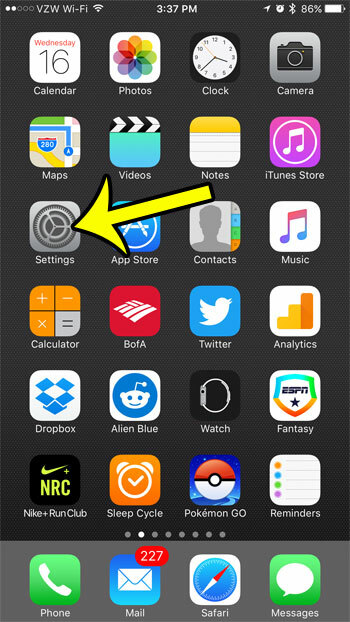 Learn how to find your iPhone text message time stamps so you can see the information you need.